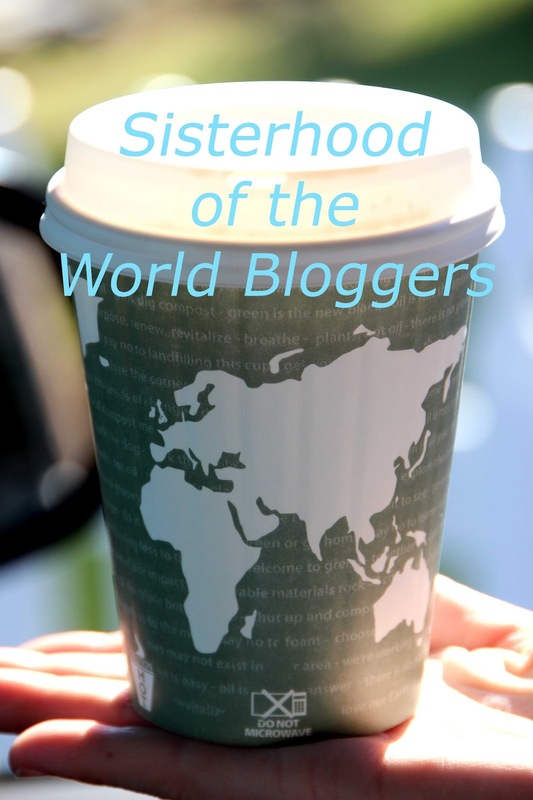 The Sisterhood of the World Bloggers Award goes to female bloggers around the world. I was seriously surprised that I have been nominated a third time (within a few weeks) and this time by Nicolette living in New York City and blogging at Culture Travel Reflections. Read the first one, and the second one. Thank you so very much for thinking of me Nicolette. As per the rules, I answered Nicolette’s ten questions about travel, created a new list of ten questions and awarded other female bloggers. Go and visit their blogs and please say hi. What’s one thing you wish you’d discovered about travel years ago? Travel makes the world smaller, in the most positive sense. It helps to lose your fear of the unknown and embrace change. This becomes clearer to me after each trip I take. I also wish I would have known sooner how to instantly spot a great restaurant or hotel/B&B. This is very stretchable, since everyone has different expectations. Why do you love travel so much, and what do you wish others who don’t necessarily love it would appreciate more? Food, restaurants, art, architecture, museums, mind-blowingly beautiful nature, silence, adventure … it is all out there, and I have to see it. Yes, the climate, the food, the smell, the culture, the mattress and what else there is, are indeed all different to what you are used to at home, but that is the number one reason to travel. It is so very wonderful to experience new surroundings, and everybody can learn so much from it. Genuine interest and respect for the culture and the people can avoid the one or other gaffe (or at least mitigate the effects) and let awkward situations end humorous. Not everyone out there is dangerous, and we all have to trust each other more. If someone offers a service or wants to sell something we shouldn’t play the arrogant tourist, but if we aren’t interested deny politely with an open look on our face. Locals are going to treat us so much better if we are friendly, and we often might end up having a chat with them and that way learn a bit more about the country. Describe a hilarious situation you encountered during travel. What happened? As I was camping in the Northern Cape of South Africa in the Mokala National Park I wanted to take pictures of the night sky. There was this loud and rumbling thunder, followed by massive lilac lightning. I had my camera on its tripod at the ready. I knew quite well that it is not the smartest thing to stand in the pitch dark in the bush. That I was a fair bit away from the fire didn’t make it any better, but at least I let the door of my car open just in case I needed to jump in (as if this would work if an animal would attack). That there is a solar powered electrified fence to keep the buffalo out, surrounding the camping site also gave me a certain peace of mind. I wanted to take snaps but felt a bit uneasy because as I said it was dark and I was in the bush … you can imagine how it felt. Out of the complete silence I heard a rustling noise very close to my right. I quickly looked into that direction and thought that is it, “The Touristin has been mauled to death by a rhinoceros in Mokala” but then I was so very relieved that there were only two kangaroos. I looked at my camera again, to simply proceed with my business. To then only seconds later think in shock: Hang on, I am not in Australia but in Africa. What is this? I laughed so hard, since I was obviously so used to Kangaroos (from my life in Australia) that I forgot where I was. I switched on my torch, to follow this jumping beige-coloured duo with my flashlight through the darkness. I could see their eyes whenever they turned to look back into my direction. They were glowing prominently, like two sets of rear lights. The next day a ranger told me they are South African spring-hares, and they call them African Kangaroo. What’s your number one savings tip for travel (i.e. miles, booking in advance, staying at hostels, etc.)? Sign up for frequent flyer programs. Miles are a pretty good option, especially if you are a very frequent flyer and often fly long haul. At the beginning of the year, write down the dates of all bank holidays and turn these into long weekends. Book then the flights as far as possible in advance. Describe a difficult moment during travel. How did you overcome it? I ask for help or advice all the time and made great experiences with that. I ask for directions, which areas are safe/not safe. What equipment I need, and what better not to take with me on a trip. That sort of things ... At the same time I know how important it is to never rely or depend on others. I can’t really think of a major difficult situation, but whatever happens I stay calm and sort things out as good as I can. It works for me to take the first step first. Missing your flight, delayed flights, having an upset tummy and the likes don’t count as difficult right? On many occasions a problem looks more complicated than it is in the end. How do you approach travel when you’re visiting a destination and don’t already speak the language (how do you learn the language)? I wouldn’t learn a language just so that I can visit a place. I travelled to so many countries without speaking the language and survived just with smiles and gestures. English is great and basic things like Good Day and Thank you in the other language help ... a lot. If we look at this year alone I already visited South Africa, Zimbabwe, Botswana, The Netherlands, Italy, Austria, Poland, Finland, Spain and Denmark. Next I am on my way to Morocco. Realistically speaking, who would find the time to learn all these languages and dialects? Bayon temple near Siam Reap Cambodia - Do you speak Khmer? 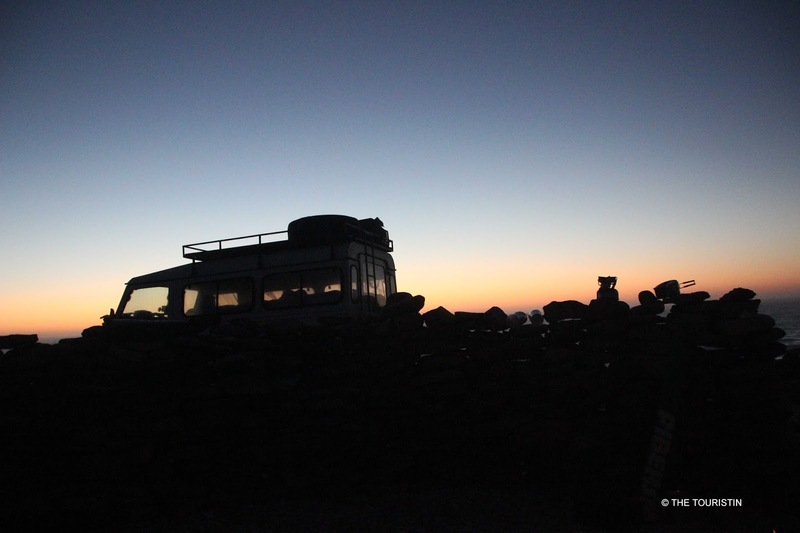 Are you a full-time traveller or part-time traveller? How do you make either work for you? I am a full time travel blogger (and Touristin), and as you can see from my previous answer I travel as often as I can. I use my great organisational skills and mix that with my thirst for the unknown. I see that really everything is possible. If you had to choose between having more time available for travel or obtaining additional money for it, which would you pick? Time is invaluable to me, no one lives forever, and I try to make the most of every single day. I am well aware that one needs money to pay for all the adventures. Where did you have a really memorable travel experience? What made it so special? Corsica, France. Great Barrier Reef, Australia. Soussousvlei, Namibia. White Island, an active Marine Volcano in New Zealand. Chobe National Park, Botswana. Siem Reap, Cambodia. And then, every single trip to South Africa is memorable. I absolutely love to be close to nature, but also to visit cities, so I could easily go on and add Paris, London, Copenhagen, Stockholm and San Francisco and and and to that list. When I visit a place and talk to people from different backgrounds and begin to understand their perceptions, experiences and actions, I know I created a memorable travel experience. What’s one cultural activity you’d like to try in your upcoming travels? In Morocco I would love to learn how to prepare couscous. What is your favourite vegetarian dish? What type of museum do you like to visit? We hear all the time that we have to live our dreams. 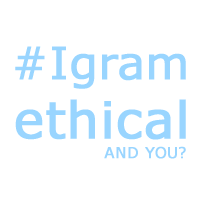 Are you doing it? What is the funniest thing you ever experienced? What is your most treasured travel souvenir? Who should play you in the film of your life? Did you ever dance under a starry night sky? Thank you so much for my 3rd nomination! Great to have a group of "sisters" who are all so close. I will hopefully get the post out today! I hope you enjoy it! Love the set of questions, nice to see something different! Hi Cee, happy to be part of such a lovely community. And thanks for the compliment regarding my questions, wohoo.